I have no idea if “capsule wardrobe” is a new term in the fashion world or if I’ve just been living in the dark for a long time (I’m guessing the latter since this girl is a jeans and T-shirts person). In a nutshell, a capsule wardrobe is a collection of a few essential items of clothing that doesn’t ever go out of style and can be used year-round. The stuff you always find yourself gravitating toward on a daily basis- a comfy pair of jeans, a gray cardigan, a plain white T-shirt, a black blazer, a pair of good leather boots… the basic classics that look awesome paired with anything. The whole point of it all is to focus on a minimalist closet that is timeless, less cluttered, and makes putting together outfits much simpler for years and years on end, which results in a wardrobe that will save you money and sanity in the long run. Quality over quantity. Then I started thinking about how that completely relates to having a home decor stash, and I had a light bulb moment! 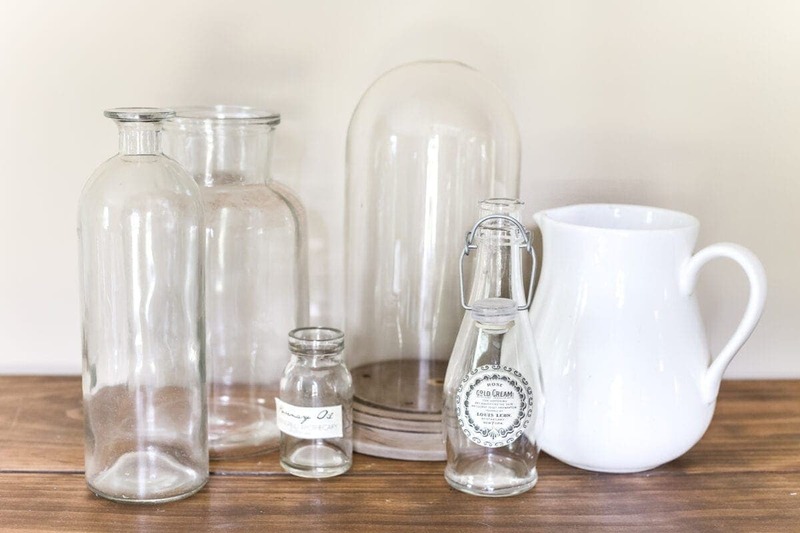 I thought about all of the classic staples that I use ALL the time in our home, the basis of every single season, every single decor trend I try out, it all boils down to having this group of timeless, essential home decor pieces. 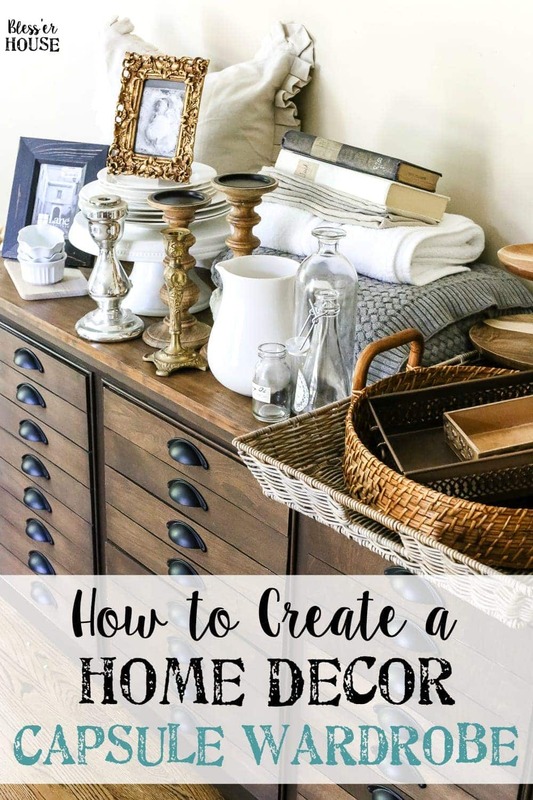 So if you want to get your decor on track, own pieces with a purpose, and decrease the decor clutter, I’ve gone through my own stash and rounded up all that you need to decorate a home that never goes out of style. If I could have done it all over again, I would have put all of these on our wedding registry back in the day rather than asking for a lot of the trendy things that have already gone out of style. Just throw in a pumpkin or two for fall, some flowering branches in spring, or some holly berries at Christmas, and you’ve got decorating-made-easy. 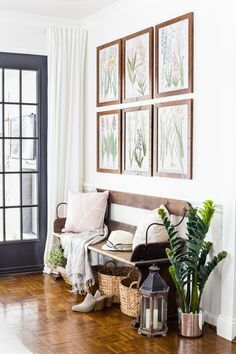 Since everything coordinates, you can move all of the items from room-to-room to switch it up and keep things fresh whenever you feel like it without spending more to redecorate because you can “shop” your own house. And the best part, most of these show up consistently in thrift stores and consignment shops, if you keep your eyes peeled. 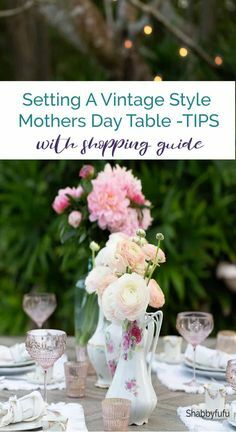 I love having just simple glass vases and white pitchers to hold flowers or branches snipped from our yard on our coffee table, dressers, or kitchen table. Hold onto a few in different sizes. I love looking out for old dome clocks in thrift stores too to remove the mechanisms and keep them as French style cloches for displaying indoor plants. 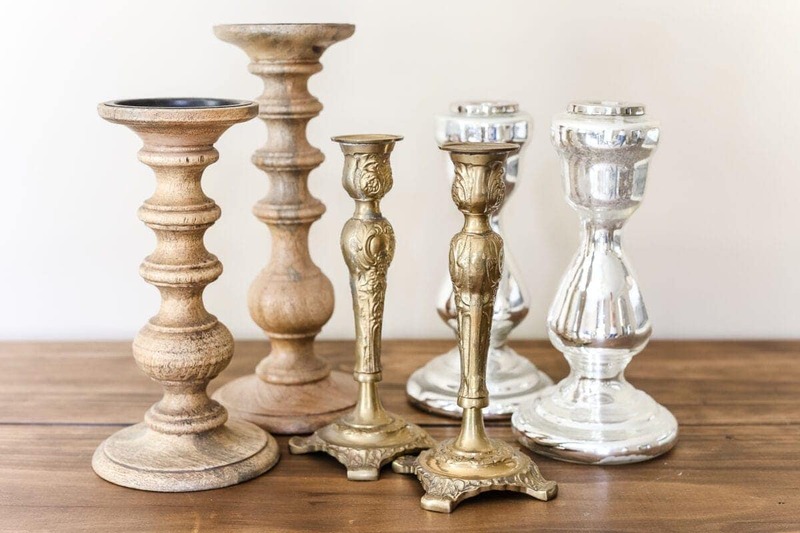 I like to keep 2-3 wooden candlesticks, 2-3 antique brass ones, and 2-3 silver ones, and that’s really all I need. Having a couple of glass votive scented candles is nice too. I can use them on pretty much any table in our house year-round nestled next to a pretty vase of flowers or branches for something seasonal. And I get most of mine from thrift stores and antique shops for about $2 each. A plain white dish set is one of the few items from our wedding registry that we still use constantly over 6 years later, and I suspect they’ll continue to have a life in our home for a long time. 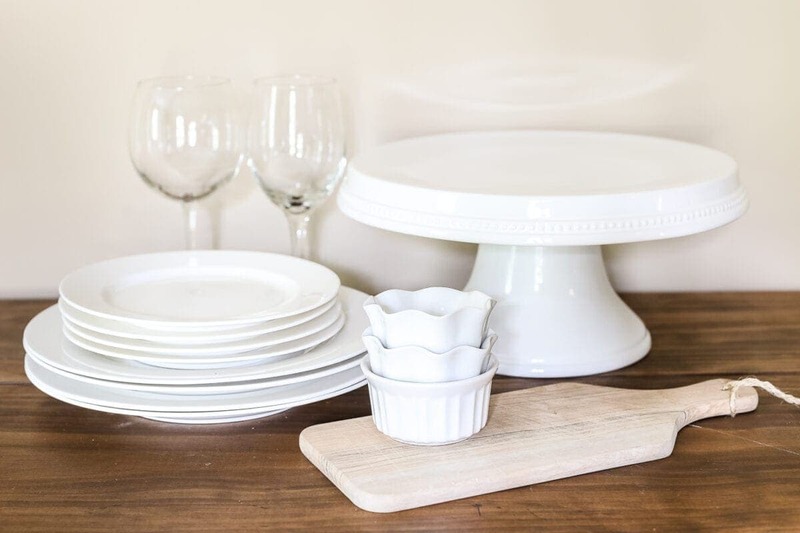 A white cake stand, simple glasses, wooden cutting boards, and white serving platters have a long lifespan too and look great with anything. They all continuously pop up at thrift stores. You can still throw in color in table settings with a bright table runner, patterned napkins, or a fun centerpiece. I have a mad throw pillow addiction that is starting to take over, but I’ve learned that I use this plain canvas pleat ruffled pillow alllll the time in our bedrooms and living room. Which tells me I only need a couple of the colorful, patterned ones to really enjoy. To decrease storage space, I like buying pillow covers instead of entire pillows, plus it’s cheaper that way. For bedding and towels, I love sticking to plain white because they can be easily bleached and always feel clean and fresh. I like keeping a set of linen napkins on hand because they are so classic. And a cream throw blanket and gray throw blanket is really all we ever need in our house since they can be paired with other patterned textiles easily. 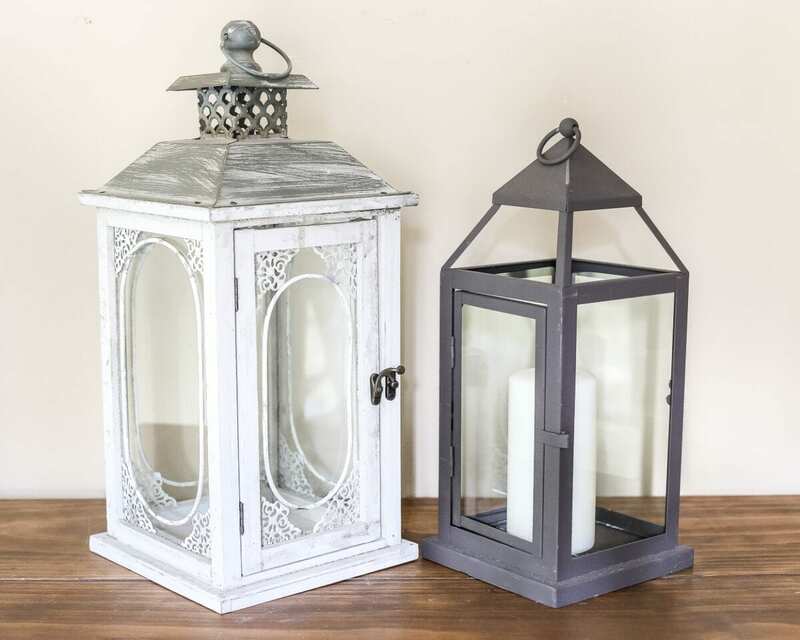 Lanterns are so easy for placing on our porch, our fireplace hearth, beside our entryway bench, on tabletops, on mantels, they work everywhere for any time of year to add some coziness. I use these black ones I got on sale constantly. Stick to neutral colors because once you get blue or red lanterns or Moroccan multi-colored ones, you start to become limited. These guys pop up all over our house. I always have a try on our coffee table to hold our TV remotes and on our bedroom dresser for catching odds and ends we pull out of our pockets at the end of the day. 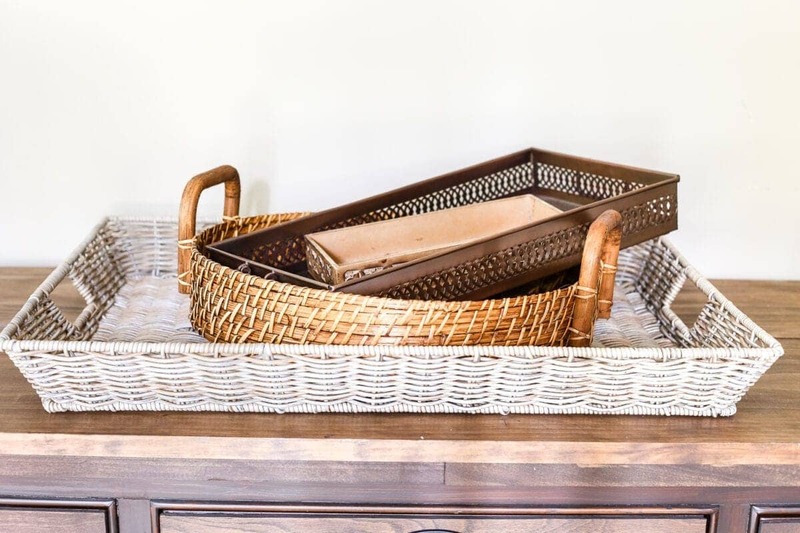 Tiered trays are great for holding appetizers at gatherings or using next to the kitchen sink for holding soaps and scrub brushes. Have a couple of different sizes in some textures you like. 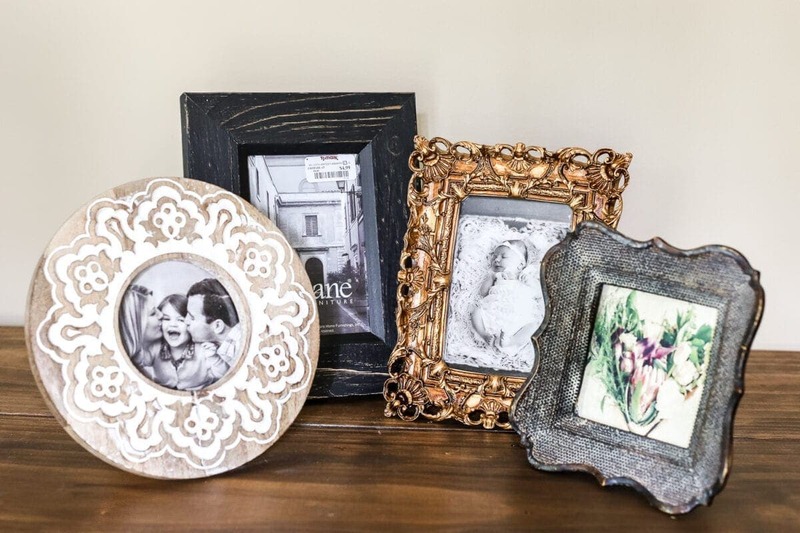 If I ever have a tabletop that I’m stumped on how to decorate, stick a cute picture frame on it and you’re done. 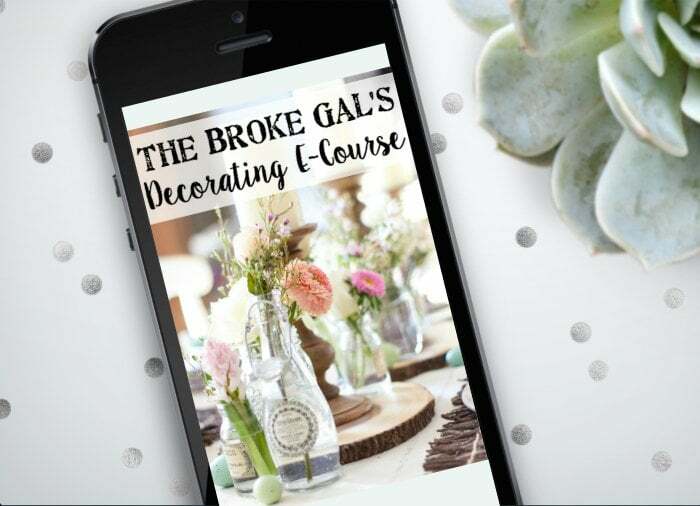 They add texture and interest and display a little piece of your heart that you can always switch up to add color by printing off a free printable online. I like having a gold frame, wooden frame, silver/metal frame, and black frame to mix things up without getting too crazy. I’m not much of a tchotchke girl because I’ve learned that too many of them can really make a room look chaotic and messy. 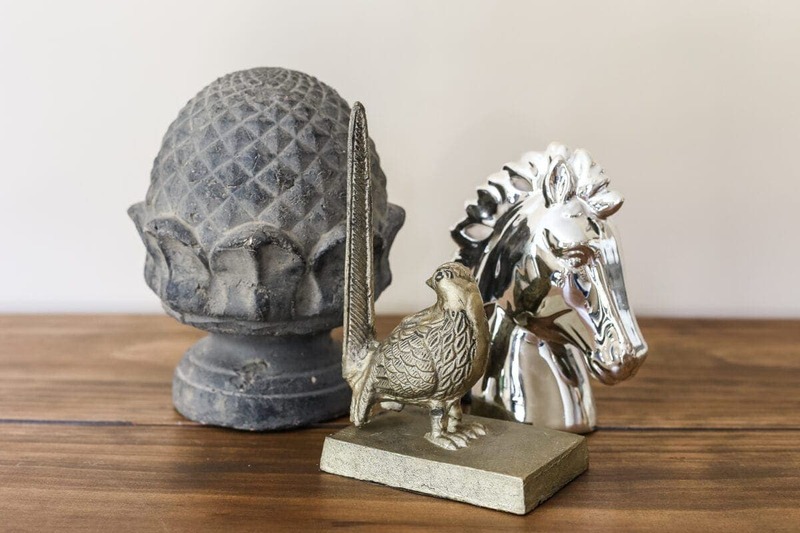 I keep 4-5 statuettes or bookends in different textures/finishes, and they’re great for displaying on top of books or on end tables. 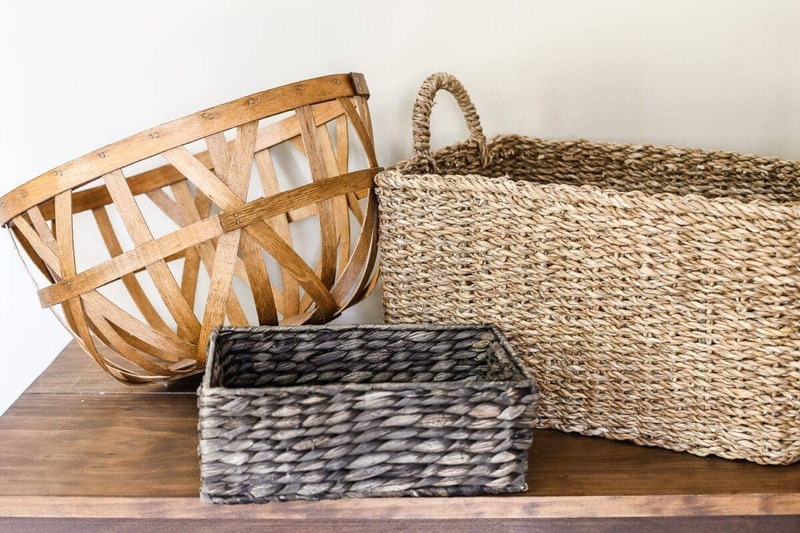 Baskets ROCK at helping me stay organized. I hang onto different sizes and always try to have a purpose for each of them. 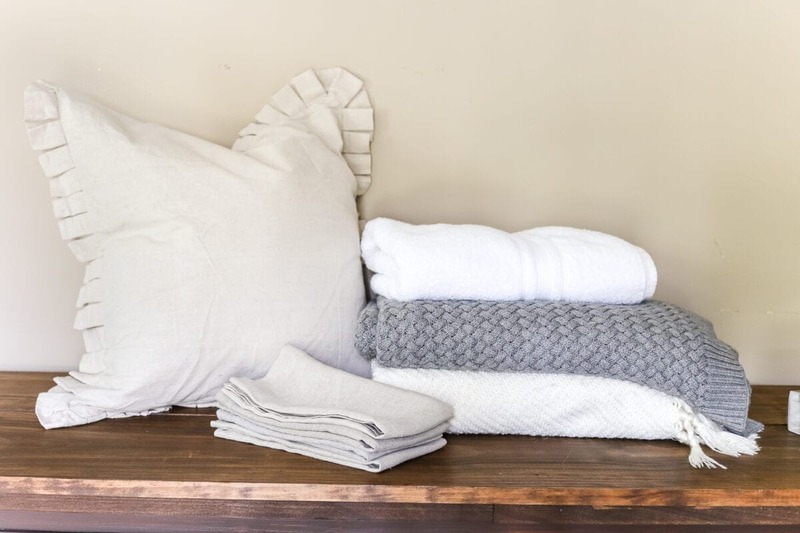 One holds extra throw blankets in our living room, one holds clean pool towels in our laundry room, one holds extra toilet paper in our powder room, they’re super useful and add texture. Win/win! So now the job is to eliminate the slew of home decor that only makes an appearance once a year or has just been collecting dust because it was a whim purchase that doesn’t go with anything. I’m so determined to make this journey-to-minimalism happen. Do you have any go-to home decor staples you constantly use? What do you think about this whole “capsule” idea? I really can’t believe it isn’t something I ever thought about before because it makes so much sense! So simple, right?! Can’t believe I never thought about it before now. LOVE this list! Lots of goodies, for sure! Have you ever used those black lanterns outdoors? Wondering if they will hold up outside? I have! 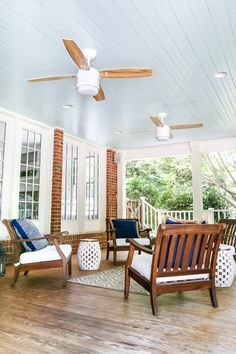 I just use them mainly on our covered back porch, but they have been rained on a few times and I haven’t experienced any issues with them rusting yet. Light bulb moment, right?! It’s probably something a lot of us already knew but never realized. Helps me focus on what to purge and what to stay invested in. 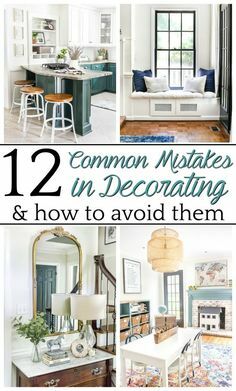 LOVE this post, such a unique spin to chatting about decorating/styling essentials! Bravo! Please put this info on your blog. Love it. 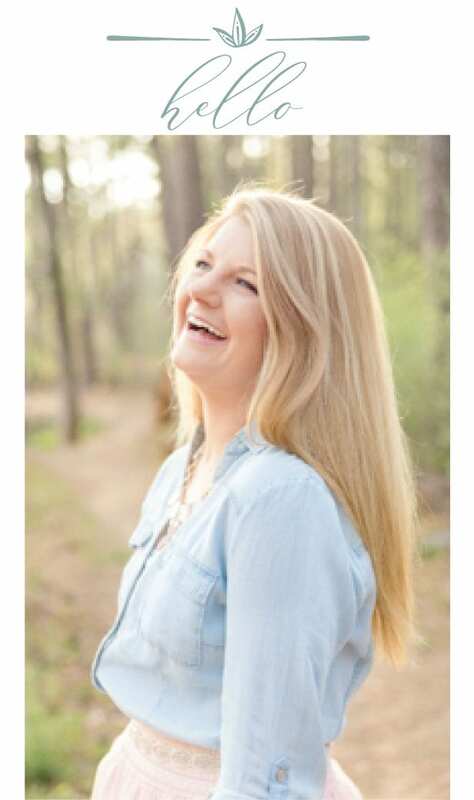 Great post Lauren! I’ve toyed around with a capsule wardrobe for the last few years after I went to hear The Minimalists speak and read their book, but went full capsule this summer. I hardly have anything in my closet and so far it has really worked. A Home Decor capsule sounds great. I’ve recently made the decision that if it isn’t French Country, I’m not going to buy it unless it fills a gap. I gravitate to those items over and over again and have learned anything that isn’t will just be a waste of my money. I love finding items at thrift stores. If I really need a vase or tray to fill in a gap, I’ll purchase something that isn’t French Country and then trade up when I do find the perfect thing. At thrift store prices, I feel like I can always do that. The key is to let go of the old when trading up. I love how you have nailed everything you need for home decor. P.S. I also keep a huge tub of faux flowers and greenery and try to recombine items over the seasons for door displays etc…. We all, in general, simply have too much stuff. From clothing, to home decor. Simplifying and keeping only what we truly wear or use (or what truly means something to you) is freeing. (Personally, we have downsized, and we sold an obscene about of “stuff” on craigslist. We still look back at our bigger home and wonder, why did we have all that stuff?) Plus, I know being in the business I’m in and seeing so many homes, it made me realize that less is more in my own home and life as well. A simply decorated home always, always looks best. (Again, that’s for showing) If you like all your treasures around your space, that’s up to the individual. Brilliant!!!! Never thought of this before, but I have a collection of decor that I’m continually re-using. Thanks for sharing! LOVE this idea! I had already been thinking about the capsule wardrobe idea, and you’ve carried that idea to the next level for me. 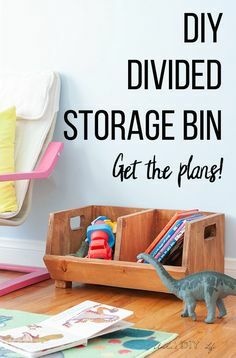 I’d love to get rid of all those bins of decorative stuff that rarely sees the light of day- this is the answer! Good observation about a capsule wardrobe for the home. I have moved a number of times over the years (military, etc.) and my “basic home” is black/charcoal and cream for the main furniture items (tables, chairs, sofa, bedding, drapes). Because moving and storage is very expensive, I’ve tried not to accumulate excess possessions. I’ve seen neighbors who, after living in their current home for a number of years, need to move and find that they are suffering from “possession creep” (Symptoms of possession creep are garages so full of “stuff” that the car is parked on the driveway; or attics/basements crammed full with items that no one wants or can use or even remembers what is in the boxes or bins; closets full of clothing that is never worn; etc.). Most of what I own is thrift store, or DIY. I’ve never had a problem trying to sell my home when it came time to move. (In fact, one home builder used photos of my home to stage their model home.) Because I’ve spent very little money on my “décor” when it’s time to move again, I don’t feel any pain in getting rid of any items via a yard sale. 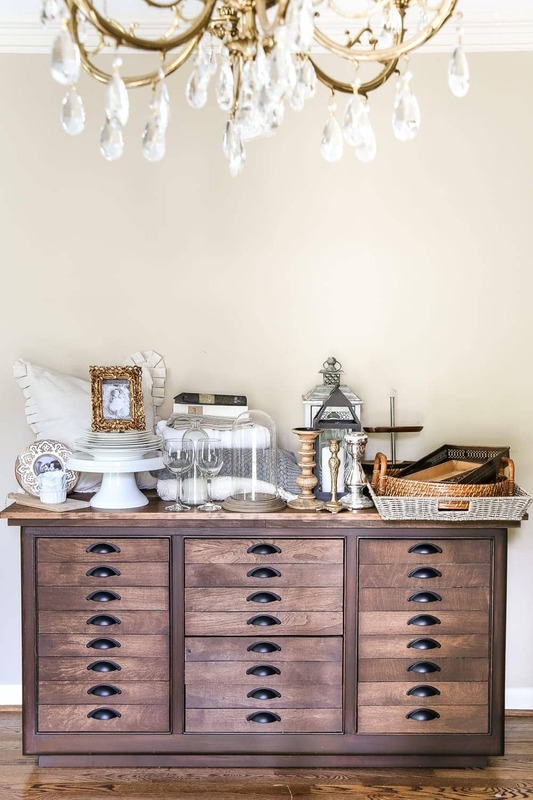 Fantastic idea which would make decorating so simple and way less cluttered.